On three Wednesdays in Advent (December 3rd, 10th and 17th) we will gather again in the chancel of our sanctuary to observe Advent Vespers. In the pre-Christmas rush time, seek with us a spiritual safe haven in these quiet, contemplative, candle-lit prayer and meditation times. After about half an hour long vesper worship, you can join us in a small circle around cookies with warm chocolate. This year we will talk about babies, children, parenthood, our own and their shapes around the world and across ages. Isn’t Christmas about the newborn baby? And for those who read this far here is a little bit of Obstetric Ornithology. In European folklore, babies are closely associated with storks. We all know how babies are delivered, by stork-mail, right? But before you dismiss it as an old wives' tale think about its nice symbolism and deep insight. Storks are migratory birds yearly traveling thousands of miles, yet they return faithfully to the same nest year after year. Storks are also predominantly monogamous. And the stork vernal migration comes when great number of the babies used to be born, about ten lunar months after Midsummer Night (All over Europe in rustic times, the summer solstice was an amorous season). 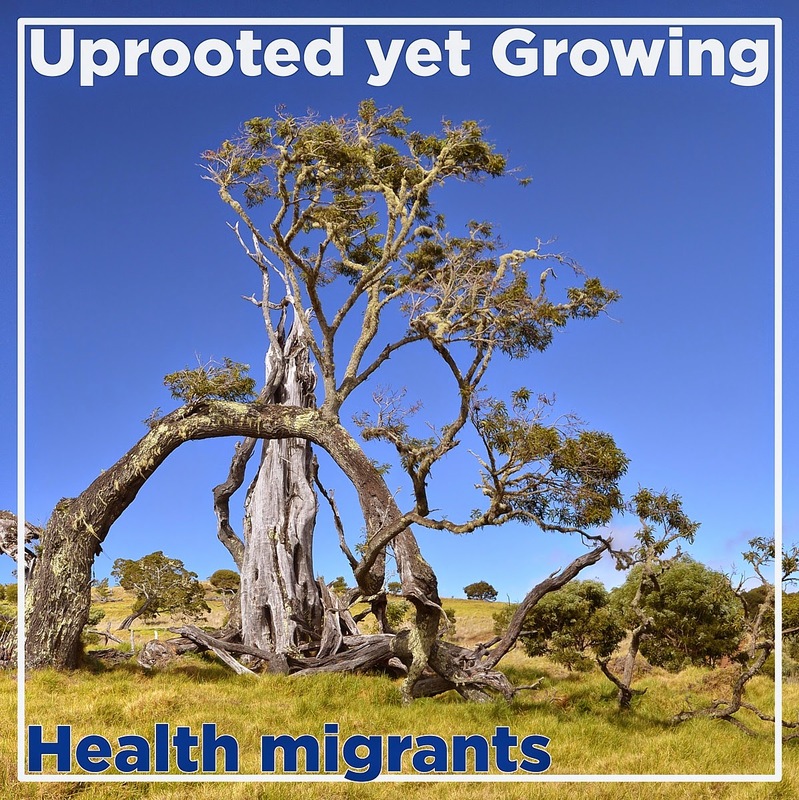 Ancient Near Eastern people didn’t look for storks, they revered swallows, also migratory birds, also known for forming life-long bonds and also faithfully returning to one home or barn. In pre-biblical times Semitic people worshiped Seven Swallow-Daughters, goddesses of marital bliss whom they called in translation Skillful-Ones - each had a name (again in translation): Wedding-Gift, Dowry, Flame-of-Love, Womb-Opener, First-Baby-Cry, Perpetually-Fruitful, and Benefactress. I know about them because as my hobby and for my doctorate I translated a three thousand year old cuneiform clay tablet (KTU 1.24 - this link leads to a translation by my Edinburgh teacher Professor Nicolas Wyatt, he opted for a different translation, not Swallow Daughters, but mentions it in the footnote no.7) where they are thus named and petitioned to be of assistance at a divine wedding as well as later. And I suspect, that these goddesses might also be a deep and ancient part of our own Judeo-Christian faith tradition. In the Bible, they are present in the disguise of Hebrew midwives in Egypt. In Exodus 1, they are called Shiphrah and Puah, but with a little bit of Ancient Near Eastern linguistics, their names can be translated as Fruitful-One and One-of-Parturition. The Bible is trying to disguise their true nature, and while YHWH does not deliver babies (certainly not in arch-patriarchal times), God could commission old-known and well-tried and trusted agents. Does anyone wonder why Hebrew women could not be stopped? How could they?! With such divine assistance! We do not know if they still envision them as swallows (the Bible does not mention it, but outside of the Bible it might be possible) they were certainly swift like swallows. Do you know XENIA? Have you ever heard of her? XENIA is the name for an ancient concept of “hospitality towards strangers”. She was known and respected as far as one can see. Her name was present and well established in the oldest surviving literature. Now, even if you knew XENIA (you heard about her from me last summer), when was the last time you heard or read about her? Hardly ever! That is because the hearts of people have been jinxed and cursed by her younger sister XENOPHOBIA. Her name means “fear of strangers”, and not just any fear, but rather visceral fear, almost hatred. XENOPHOBIA’s name is also Greek and looks archaic, but it appeared as recently as 1905. And from that moment on, XENOPHOBIA has been going from strength to strength. Without any doubt, there was hatred of strangers even before the name for it was coined, and hospitality to strangers is present in our world even without being called by its ancient name. Yet I am convinced that the different familiarity and frequency of use of XENIA and XENOPHOBIA is illustrative. We have, but haven’t been using, an ancient old concept and name for the hospitality towards strangers, while we have created a new technical term for the hatred of strangers. What does it say about us? XENOPHOBIA thrives in our society especially along US southern border and in the minds of many narrow minded politicians. But, frankly, it is a worldwide problem. This same ugly XENOPHOBIA causes countless tragedies along the south shores of Europe as refugees from Africa and Middle East try to cross the Mediterranean Sea in flimsy boats. The same XENOPHOBIA hag thrives in Australian concentration camps, one of these infamous institutions being on Christmas Island (consider this irony!). Even New Zealand is rejecting climate refugees from Kiribati, whose home is destined to disappear under waves because of global warming. XENOPHOBIA is indeed a dangerous ugly global phenomenon. I am convinced that as people of faith, it is our spiritual calling to wake up XENIA in our world again and reconstitute her as integral part of our faith and important virtue in our society - thus from this Sunday through Christmas we will pray, teach, sing and open our hearts to strangers, immigrants, exiles and refugees of all and many different kinds. This Sunday we start with those who leave their home to seek or to provide health care and healing. XENIA is an integral part of our faith identity and so much needed in our world today! Recently I went to Hawaiʻi (Big Island) to study ancient Polynesian religion. Little did I know how alive and widespread I would find it (at least some aspects of it)! Popular artistic depiction of goddess Pele. On my first evening on the island, in front of a grocery store, I overheard two locals deep in discussion of the ongoing volcanic eruption. They actually talked about the goddess Pele and "what She was up to." 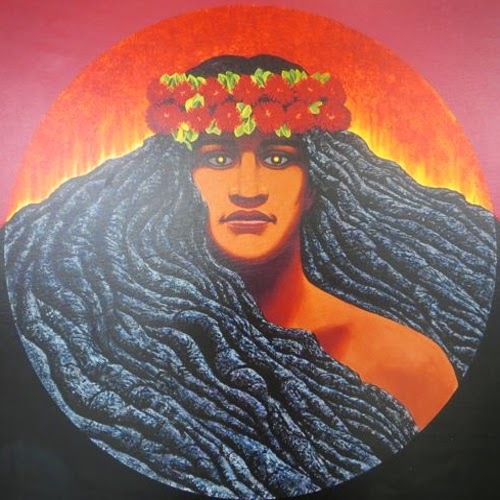 All Hawaiʻians talk about their volcano goddess: Christians (no matter whether Catholics or Protestants), Buddhists, Shinto, Jewish, even the arch-atheists (and interestingly, also professional geologists and volcanologists regardless of their religion). All talk about Pele like an old acquaintance, yet almost always with deep respect. It is their way to talk about their daily lives, and about the very land on which they live. Don’t frown or scoff at them. We do similar things right here on the US South and East Coasts. We also talk about Sandy, Katrina, Andrew... we give them names, we talk about their personalities, and these are ephemeral, albeit powerful tropical cyclones. 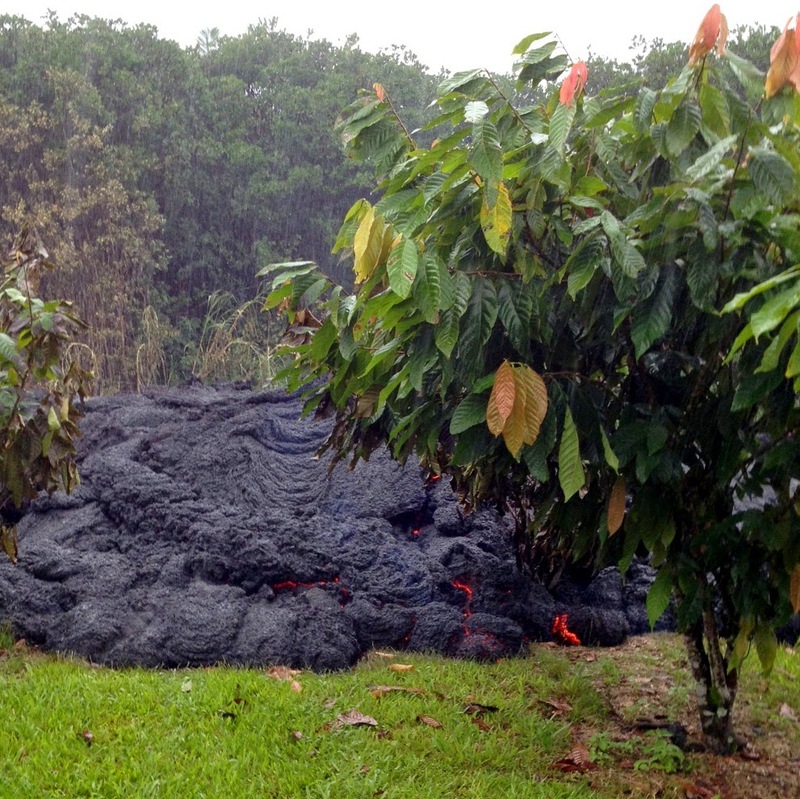 People in Hawaiʻi live with their volcanos day in and day out and have been doing so for centuries and millennia. I heard Hawaiʻians as well as immigrants talking about their volcano goddess more often and with greater passion this time because of the imminent danger of a lava flow burning its way through a local town. It opened for me some interesting insights into the origins of human religiosity, but it also highlighted deep and often neglected aspects of our own Judeo-Christian faith, spirituality, and social and environmental activism. This Sunday we will again listen to Volcanic Yahwism; flowing lava will illuminate for us the nature of the Ardent (Burning) Love of our God.